John oversees IT, corporate clinical operations, corporate plant operations, supply chain, and recruiting. He previously oversaw hospital operations and financial operations for the company. . 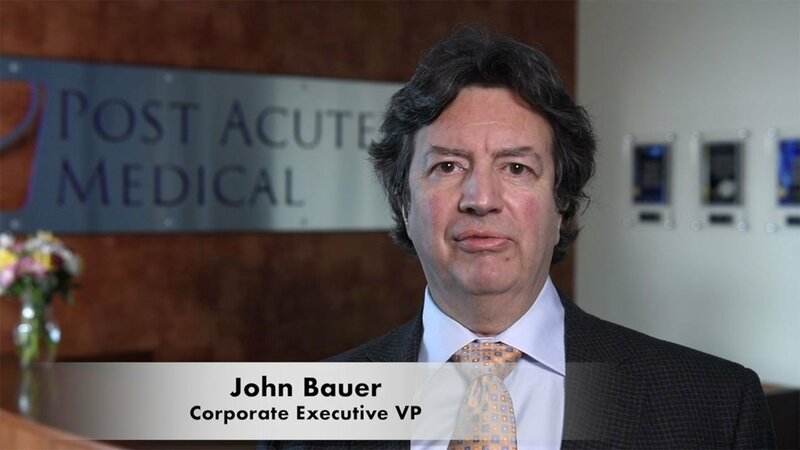 Prior to joining Post Acute Medical, John served as the Senior Vice President of Administration for Trans Healthcare, Inc., where he was responsible for finance, human resource and hospice operations. Additionally, John was responsible for the financial operations, collections, budgeting, and accounts payable functions. Formally, John served as Vice President, Finance for Continental Medical Systems, Inc., where he oversaw the financial operations of 37 freestanding inpatient rehabilitations hospitals and 130 outpatient centers in 16 states with annual revenues of approximately $600 million. He also served as CFO for that company’s contract therapy division. John brings over 25 years of experience in the healthcare field.